Instead of seeing red, the city of San Mateo is hoping that new a color-coded parking system - of orange and green - will help ease traffic congestion and stimulate parking turnover. Starting July 1, the city will charge $1 an hour for street parking in the downtwon core, marked by orange on a map, for those who need to park downtown for three hours or less. Drivers can pay half that amount -50 cents an hour - in a newly coded green area, slightly outside the downtown core along 5th Avenue, Railroad Avenue, 1st Avenue and beyond - for those who are downtown employees, and those who don't mind walking a bit from the curbside parking to the downtown core, according to the city of San Mateo. 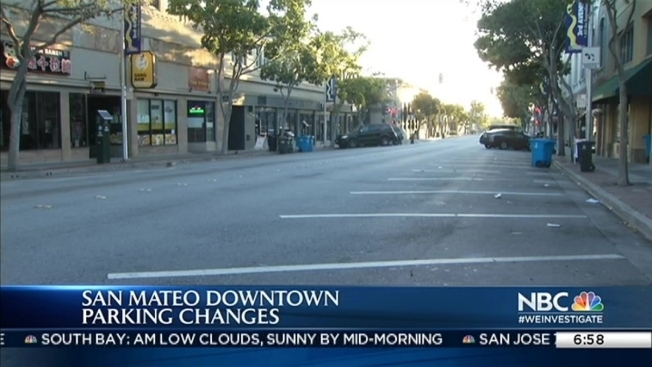 Currently, there are about 300 public parking spaces in downtown San Mateo, and the city hopes this new payment strucutre will free up more spots in the downtown core. Sunnyvale Teachers Reassigned Over "Tensions"
The changes to downtown parking are part of the Downtown Parking Management Plan adopted in 2014 and are the first phase of its implementation. Not everything about downtown parking has changed. Parking remains free after 6:00 p.m. and all day Sunday, with no time limit. And, through September, free parking is also available at the Main Library and 101 Ellsworth Garage from 6:00 p.m. to midnight on Friday and Saturday nights.